Do you know that there are many people who have ever spent their entire afternoon shopping online, only to change their mind moments before finalizing the purchase? Yes, they did. And if you are a store owner, you should know these online customers who’ve abandoned an order at the last minute — a process known as cart abandonment. An undeniable problem within the online retail industry, cart abandonment causes businesses to lose out on potential earnings for various reasons. Sometimes, it’s simply because the customer experienced some preemptive buyer’s remorse. The good news is that many of those reasons can be avoided, and with a little preparation, you can stop cart abandoners from dropping out your profits. 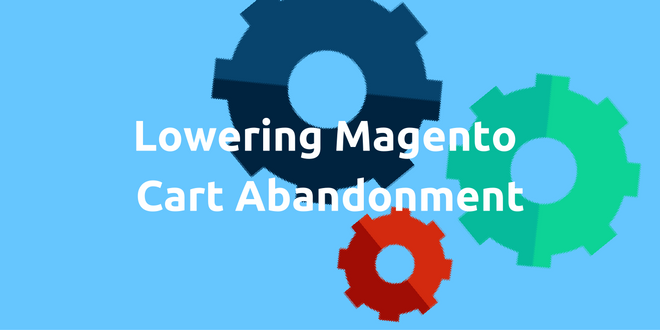 Let’s find out in Magestore’s Complete Guide to Reducing Cart Abandonment. Booking Abandonment: When a customer starts booking accommodation or a flight and then backs out at the last minute. Browse Abandonment: Similar to cart abandonment, except in this case the potential customer doesn’t add any items to their virtual cart. They simply browse the site and then leave. Form Abandonment: When a prospective customer fails to finalize a quote, subscription, or product purchase because they’re required to complete a long form. Each type of abandonment issue contributes to lost earnings, which is why it’s important to identify and correct them as soon as possible. Otherwise, your company risks losing out on a significant amount of revenue. 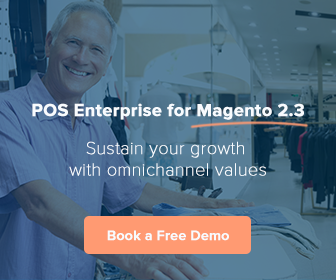 If your store has a high cart abandonment rate, it means your customers started their purchasing journey but had second thoughts somewhere along the way. It’s possible that the customer’s decision to abandon their purchase was influenced by factors outside your control—perhaps they were conducting price research or decided they wanted to buy the product in-person instead—or your cart abandonment rates could be equally influenced by your store policies. In addition, cart abandonment rates vary depending on the industry. Finance, travel, and nonprofit routinely have the highest cart abandonment rates, while gaming and fashion are consistently below the global average. Tech devices website is depend, for example as I open Breathe Quality (to sell the best air purifiers for allergies and asthma), it is not high. But especially for mobile phone, the rate is above average. First and foremost, it’s important to understand that cart abandonment is, to some degree, an unavoidable occurrence. There are many reasons why a potential customer decides to abandon a purchase that has nothing to do with your product, services, or website design. With that said, understanding some of the underlying factors that contribute to cart abandonment is critical to helping you understand how to curb abandonment rates and increase your revenue. To get a better idea of how brands can reduce cart abandonment, let’s look at this study conducted by the Baymard Institute on checkout abandonment. When it comes to sending abandonment emails, timing is everything. If you contact potential customers too soon, they may view you as too pushy and demanding. But if you wait too long, your chances of converting start to diminish. We recommend sending your first email an hour after the cart has been abandoned, followed a follow-up email 24 hours later and a final email delivered three days after your first email. The first email should be about engaging with the customer. Start a conversation with them, let them know they didn’t complete their purchase, and remind them of what items they left in their cart. The second email should encourage the reader to finalize their purchase. Make sure to have a helpful tone. Tell the customer that you noticed they left their items in the cart, and ask if there were any problems that you can assist them with. The final email should entice the reader to complete their purchase by offering a discount. Send them an image with a coupon code, and tell them if they come back and complete the checkout process, they’ll receive a discount. It’s important that you don’t offer a discount in your first email. Otherwise, you eliminate the chance of maximizing your earning potential from customers who would’ve completed their purchase in the first or second phase of your emailing campaign. There are many other tactics can help you reduce cart abandonment rates and maximize your company’s earning potential. Social proof is one of the most powerful tools you have at your disposal. By simply including elements like customer reviews, testimonials, and quantifiable data (“1,000 other customers enjoyed this product!”), you’re effectively using the power of popularity to persuade potential customers to buy your product—a phenomenon psychologists refer to as the bandwagon effect. Choose the Right Product: Review the list of products in the customer’s abandoned cart and choose the one product they’re most likely to purchase. This will be the product you include in your abandonment email. Sell It: Talk about the benefits of owning the product, as well as what your customers are missing out on by not purchasing it. Bring in the Social Proof: Including a simple rating or product review in your email can go a long way towards maximizing your abandoned cart recovery. Not only do these elements draw more attention to the product, it also tells the reader how the product has helped similar customers. Keep in mind that many customers who abandoned their carts still plan on buying the products, just not at this particular moment. Social proof in the form of testimonials and ratings are great for reminding those customers why they initially wanted the product, while also incorporating other shoppers’ experiences to illustrate the value that the product brings. The next step in reducing cart abandonment rates is to create a customer incentive campaign. Loyalty and rewards programs work well at reducing abandonment issues, as they give customers an additional reason to shop with you: Discounts or free merchandise. To do it, you should look for the convenient tools like Reward Points, Gift Card or Store Credit. Remarketing is an excellent, cost-effective way to increase brand awareness and remind potential customers about your products. Basically, when a customer visits your ecommerce site and fails to make a purchase, they’ll see your advertisements when they visit websites that show advertisements from the Google Display Network. Ideal for reaching out to customers who were seriously considering making a purchase, remarketing works to keep your products at the forefront of your customers’ minds as they browse other sites. You can even leverage the power of remarketing on popular social media platforms like Facebook (Custom Audiences), which is especially useful for targeting a mobile audience. As mentioned earlier, accessibility and convenience play integral roles in determining whether the average customer will finalize their purchase or abandon their cart. Websites that are clunky or have unnecessarily complicated checkout procedures are far more likely to have a higher cart abandonment rate than sleek, optimized virtual marketplaces. Removing unnecessary steps throughout your buying journey can help increase conversion rates. And a good place to start is with your forms. Research conducted by the Baymard Institute found that 61% of the top ecommerce sites in the US require customers to disclose “seemingly unnecessary” information during the checkout procedure. When you stop and think about it, there’s a lot of trust that goes into online shopping. The customer provides you with their credit card details and contact information, then trusts you won’t use this information for anything other than its intended use. With that in mind, it’s easy to understand how some shoppers are reluctant to shop online—especially with smaller companies that don’t have the same reputation as Amazon and other big-box retailers. For this reason, it’s important that you assure customers that their personal data is safe with you. And one way that you can reassure customers that their information is protected is by adding a trust logo to your site. Do you know the concept of scarcity? It is when you come to an online shop and know some products are nearly out of stock, or only available for X days. In the realm of marketing, scarcity is an effective way to create demand around a product or service. By giving the customer a limited amount of time to take advantage of an offer, you create a sense of urgency that motivates them to take immediate action.